It’s not hyperbole to suggest that Hoovervilles would be on the horizon if we were to either cut Social Security by 1/3 or slash discretionary spending by 40%. 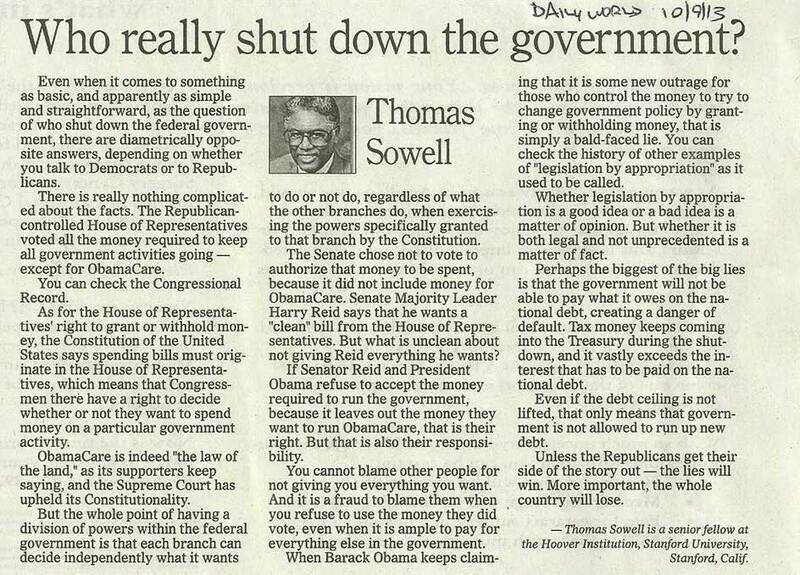 How much does Sowell propose to cut from spending to continue paying interest? Find $245 billion a year that the Hooverites feel comfortable cutting and that won’t have dreadful consequences for millions of Americans. Hard choices, eh? This entry was posted in Mortified and tagged blame game, debt ceiling, default, Hooverville, sequestration, shutdown, Thomas Sowell by Mortified. Bookmark the permalink.